"A bookcase should be neutral, its life comes from the books it contains." Against the wall or as a room divider, the project by Dieter Rams starts with this premise. De Padova offers this fluid, extremely flexible system in entirely natural or white painted aluminium. Light, luminous and scratchproof. In the home, it is a bookcase, a storage unit or a wardrobe. 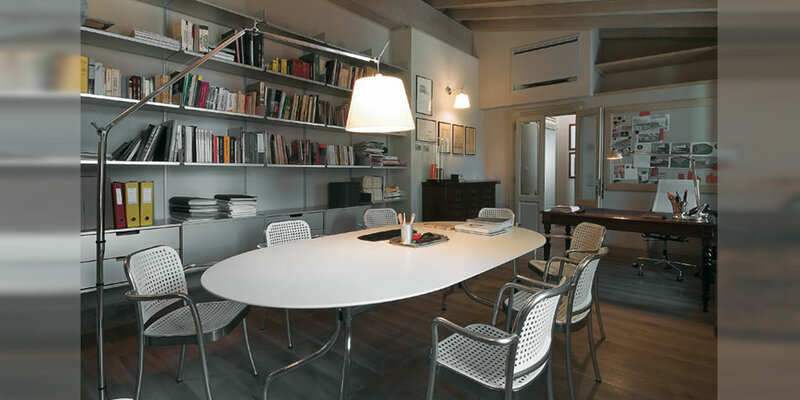 In the office it can be used for files, in a showroom to display objects and accessories. You don’t notice it but it’s there. 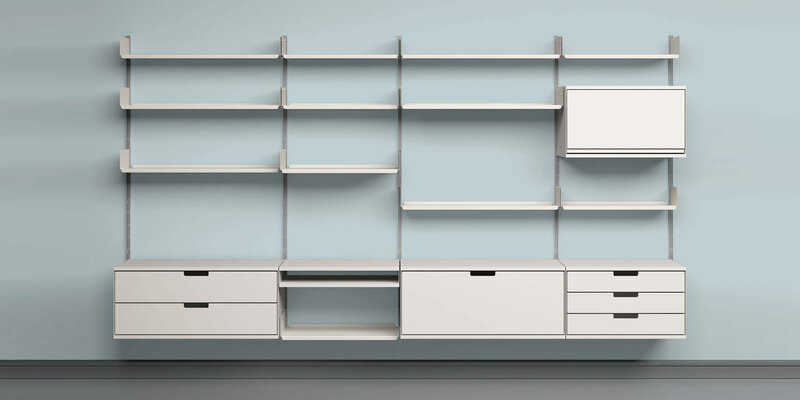 Not just a bookcase but a true, versatile system, ready for different uses. 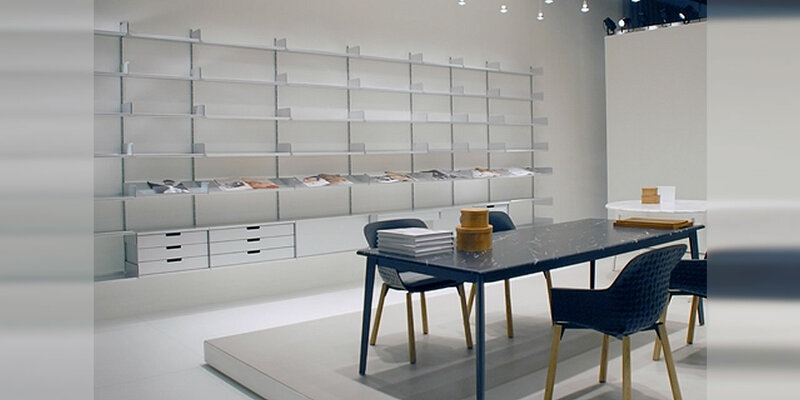 The 606 Universal Shelving System becomes a wardrobe with hanging rods for clothing, combined with shelves and drawers. The modules with sliding doors are ideal for bar areas in the home, while CDs and DVDs can be stored in spacious drawers.